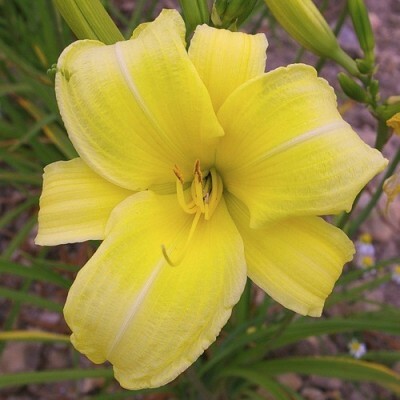 Lovely light lemon yellow with a discreet green throat. 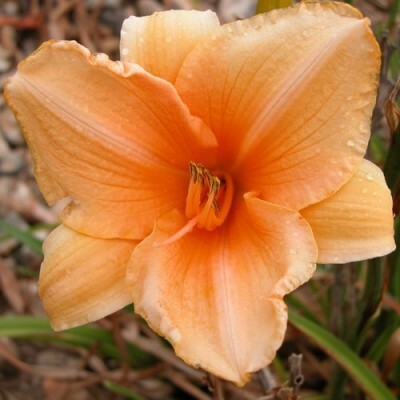 A sturdy plant with large flowers (18 cm in diameter). Deciduous foliage. a round and waffled flower in pale pinkish apricot.a round and waffled flower in pale pinkish apricot. 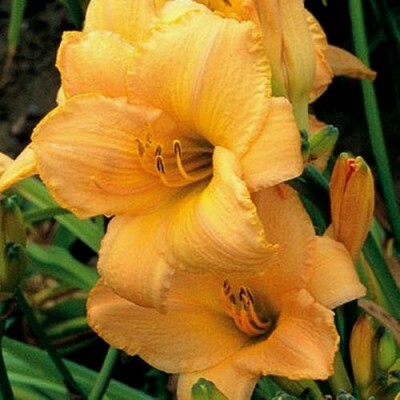 Double orange yellow flowers. Excellent ramification and very floriferous. Deciduous foliage. 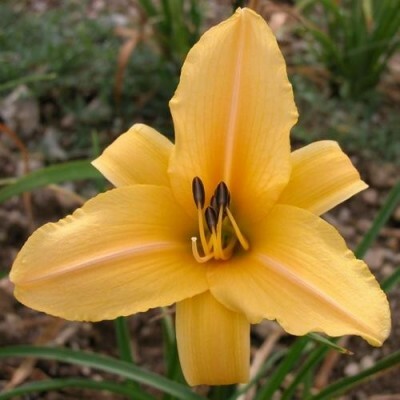 Yellow, lightly tinted with pink and with a crimped golden edge. Large gold heart. Good branching. 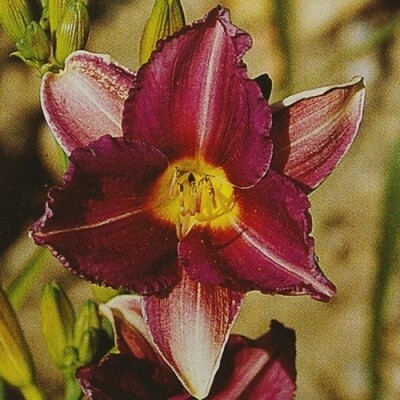 Tetraploid variety with deciduous foliage. Miniature raspberry-coloured flower with a tiny claret halo. Fragrant. Evergreen foliage. 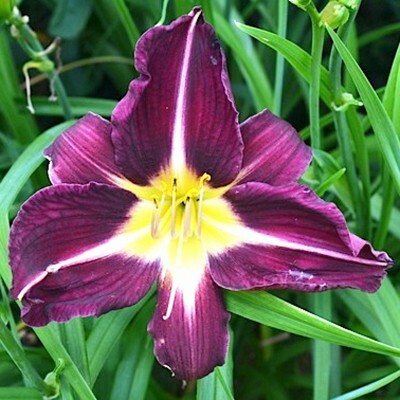 Almost bicolor: light claret-coloured petals and purplish pink sepals. 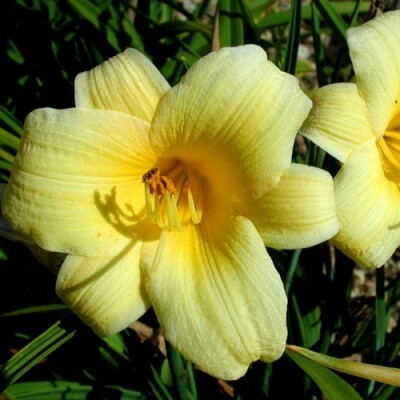 The flower, 12cm in diameter, has a small yellow throat. A pleasant new colour! Deciduous foliage. 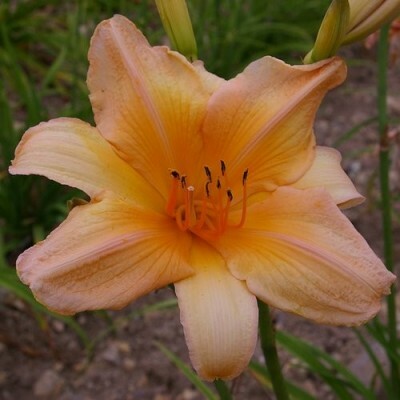 Large, apricot coloured flowers (12cm in diameter) with a lighter line along the middle of the sepals. 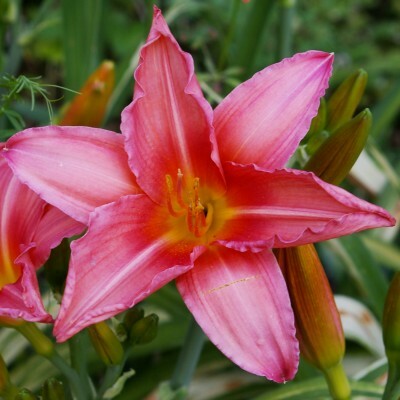 Delicately wavy sepals with pink edging . 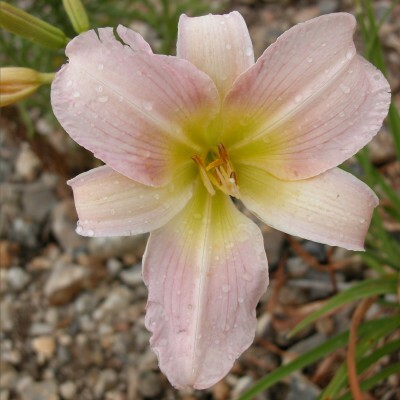 Darker pink halo around the heart.Deciduous foliage. Soft melon colour, darker toward the throat. 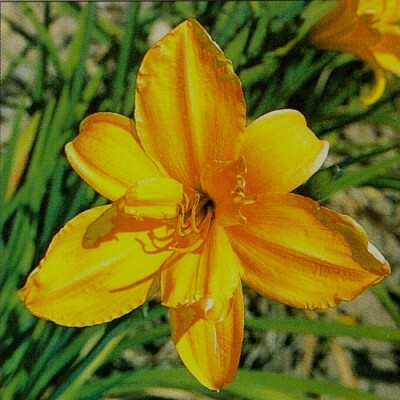 Large-sized flower opening very wide. Grows rapidly into large clumps. Tetraploid variety with deciduous foliage. 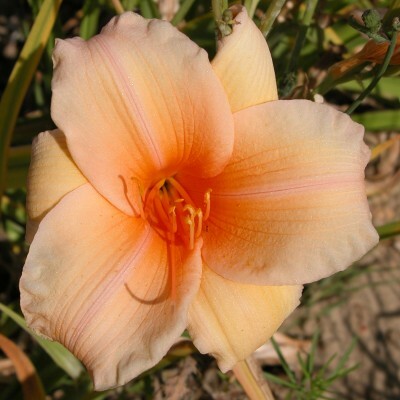 A large pink-orange flower. 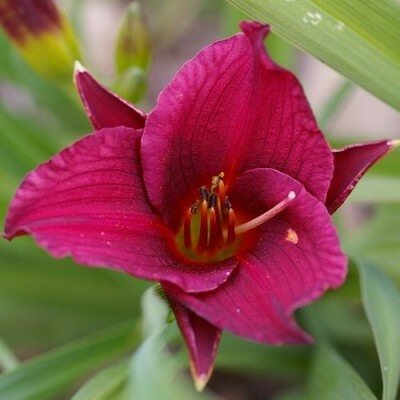 A good warm colour and a sturdy, nicely shaped flower. Tetraploid variety with deciduous foliage. 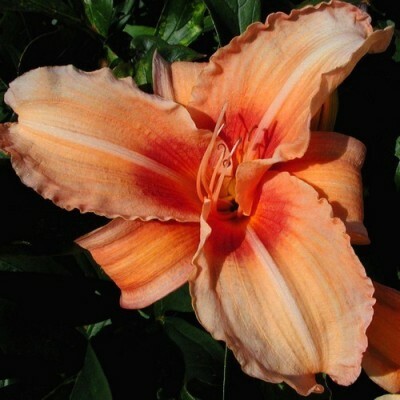 Rich, deep pinkish orange. Round flower with particularly wide tepals. A regular prize winner! 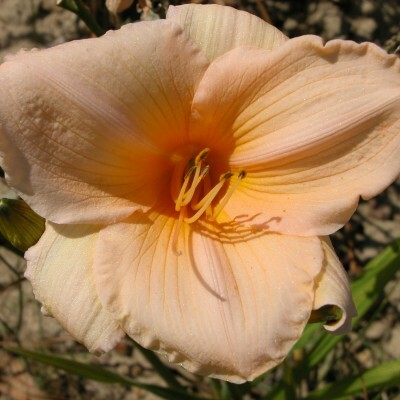 This tetraploid variety will sometimes re-bloom in late summer! Deciduous foliage. 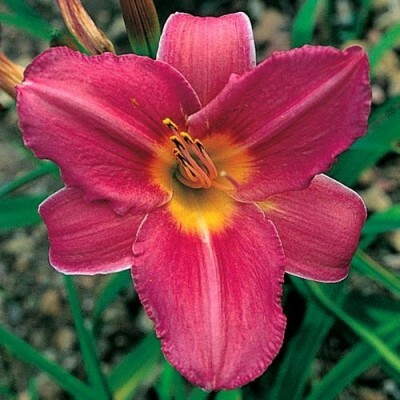 A gorgeous big flower, bright pink tinted with lavender. Soft pinkish yellow throat. A very good and well branched variety. (Tetraploid with deciduous foliage).